On it's way to the moon in April of 1970, Apollo 13 suffered catastrophic damage to it's oxygen system due to an explosion. This in turn had a severe impact on the spacecraft's critical life support and power systems. For several days the lives of the three astronauts on board hung in the balance. As the New York Times reported "there will be great risks and little margin for error or delay." 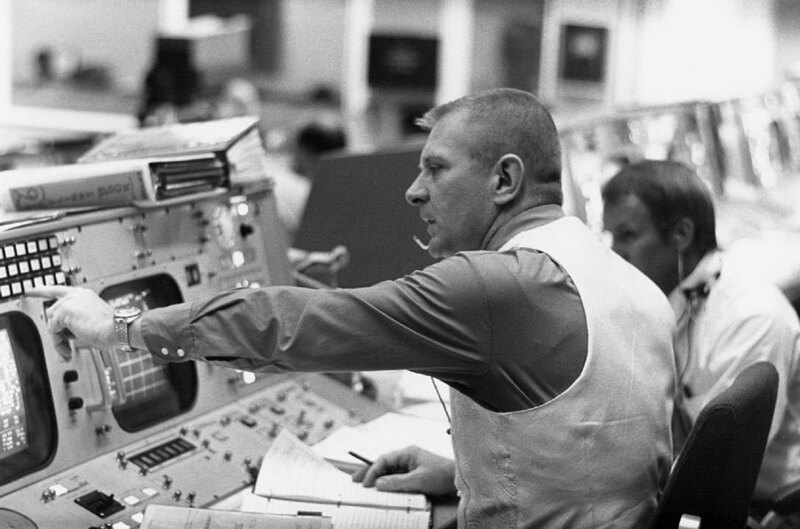 The man responsible for managing the risks and avoiding a life threatening error or delay was Eugene Kranz, the flight director. In his book The Leadership Moment, Michael Useem identifies several aspects of leadership that were crucial to Kranz's success in returning the Apollo 13 crew safely to earth. One of first challenges faced by Kranz was fighting the perception that saving Apollo 13 was a lost cause. Ground crew members warned "we're losing it," "we're going down" and "we are at a point of losing everybody and everything." Kranz quickly and firmly put an end to the pessimism. He exhorted his team "let's everybody keep cool, let's solve the problem." He was clear in his expectation that "we don't concede failure" and "we will never surrender." Kranz knew that time was critical as with every passing minute, the situation in the spacecraft deteriorated. As he says "If there's one thing I had to be aware of it is time, because it is consumable." At the same time, however, it was imperative that he make accurate decisions. To do so, Kranz relied on getting input from a large number of people and listening to instead of discouraging differing viewpoints. "You're accepting their input, then you're testing its validity, and then you're adding all the pieces together to get the total picture" says Kranz. Once the crisis revealed itself, Kranz quickly reconfigured the organization to focus on the problem. He pulled one flight control team out of its normal role to work exclusively on finding solutions. He moved staff from team to team to bring in the specific knowledge, skills and experience he needed. Once in place, Kranz provided the team direction and then got out of the way to let them work. As Kranz explained "My job was basically to orchestrate all the players, recognize the problems, point people in the direction if we had more than one way to do a job, get the players to bring their stuff in, listen to them, and send them back." In the end, Apollo 13 and its crew splashed down safely in the Pacific Ocean. Kranz's strong leadership proved to be the key factor in the mission's safe conclusion. As Kranz later said "Firmness at the helm was the only thing that was going to get us through." The story of Kranz, his team on the ground and the astronauts in the spacecraft is told in Tom Hanks' movie Apollo 13. The movie is a great study in how to lead in a crisis. The famous line from the movie "failure is not an option" sums up how Engene Kranz approached his crisis. While we'd all hope our camp runs as expected without any surprises, we need to be prepared for the unexpected. If a crisis develops can we lead with the skill of Eugene Kranz?